It’s been a while since our last blog on the new learning centre in North Block 4 and things have moved on a lot since then. 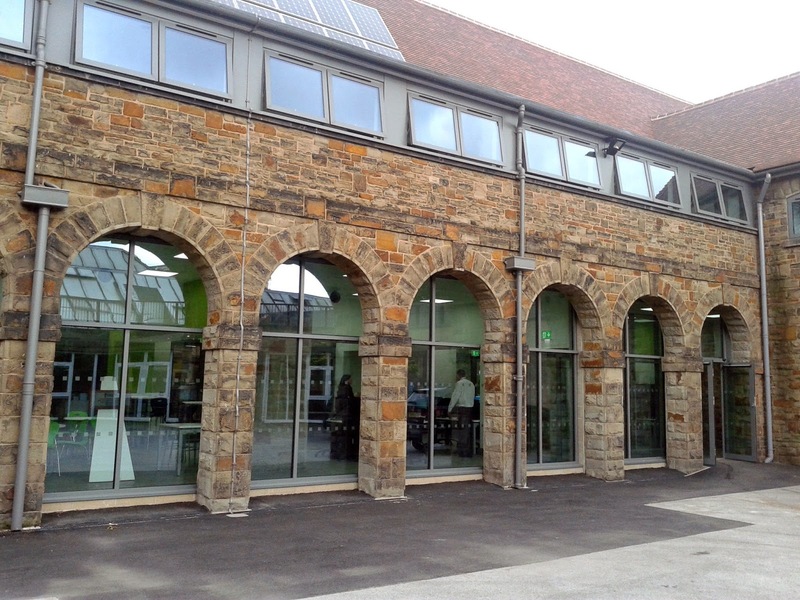 The Arches Learning Centre is now fully furnished and equipped with computers and is now open for staff and students to use. There are 35 PCs available in total, 22 of which are bookable by lecturers for group use. To book classes in, ring the Arches reception desk on extension 1777. 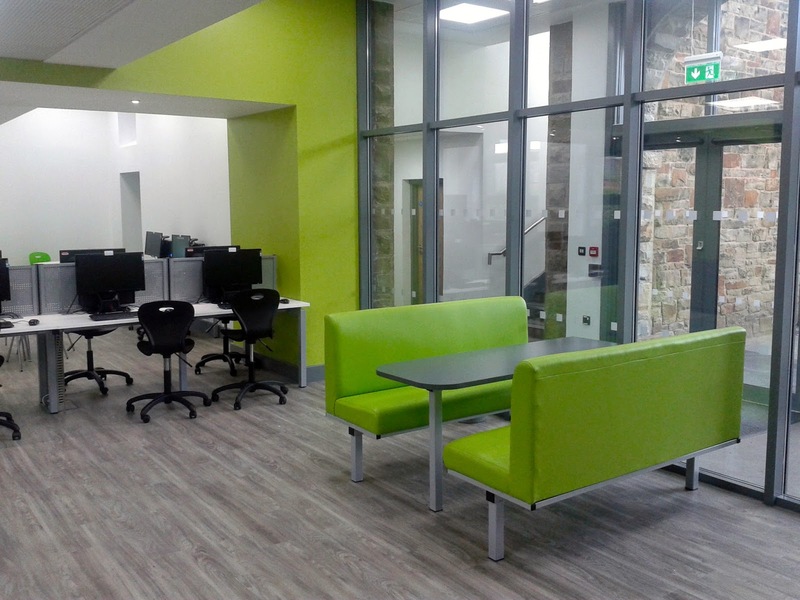 As with the other learning centres, assistive technology and headphones are available and there is an MFD for printing, photocopying and scanning. A large-screen TV connected to a PC is also available for group presentations. 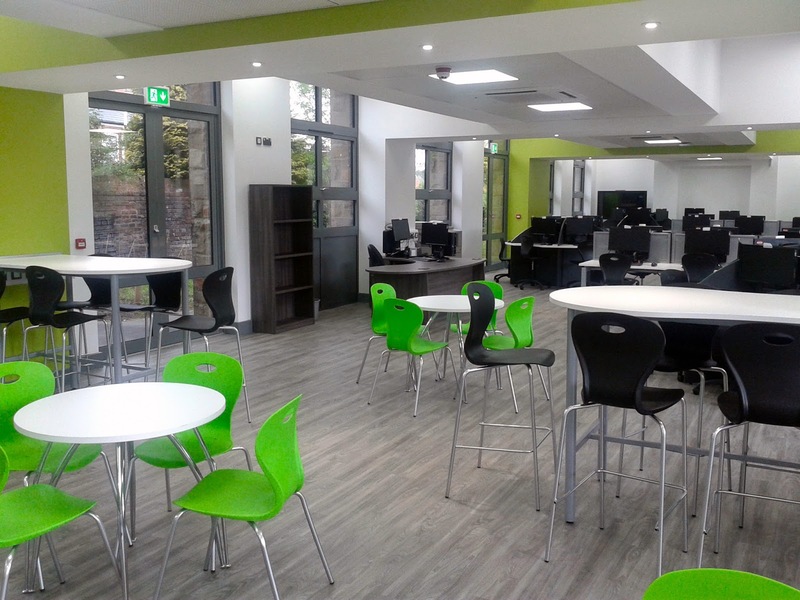 But, what makes the Arches Learning Centre different from all the other learning centres around college is that food and drink can be consumed in the dining area or while working at the PCs. Also, in time, tea, coffee and cold food will be available for sale from the small kitchen area. The centre will remain open throughout each day from 8:30am to 5:00pm (4:30pm Fridays).